What you want from your content can often change based on the demands of your audience. How do you let go of preconceived notions to make way for what people really want? We are excited to have Linda Fisher Thornton as our guest! Linda is an innovative leadership consultant with a passion for ethical leadership. 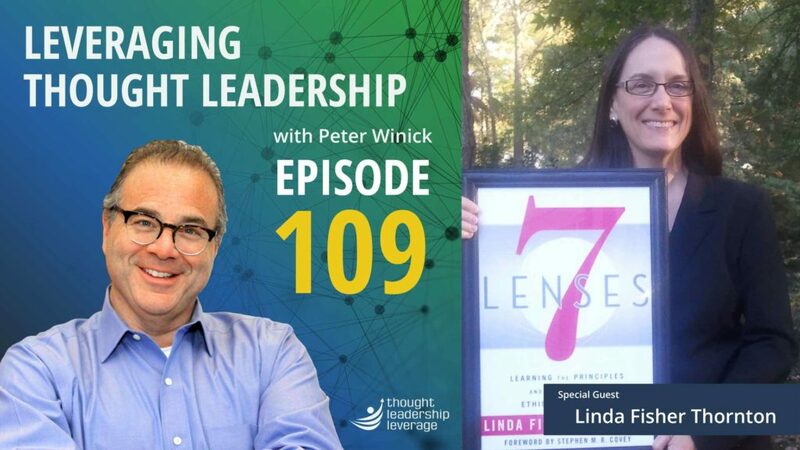 She is the CEO of “Leading in Context”, an Adjunct Assistant Professor of Leadership for The University of Richmond School of Professional and Continuing Studies, and the author of “7 Lenses”. Linda shares how writing her book has meant having to change to meet the demands of her audience and how they want to consume her content. Also, she shares how easy to get attached to an idea and how great things can happen when you let go to explore the way things need to be.